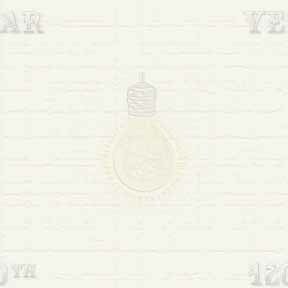 Click the pic above to see the pic refresh, and see some interesting saves..
Watch this Ani-gif to see the 1 Million hour party from the Bulb's view. 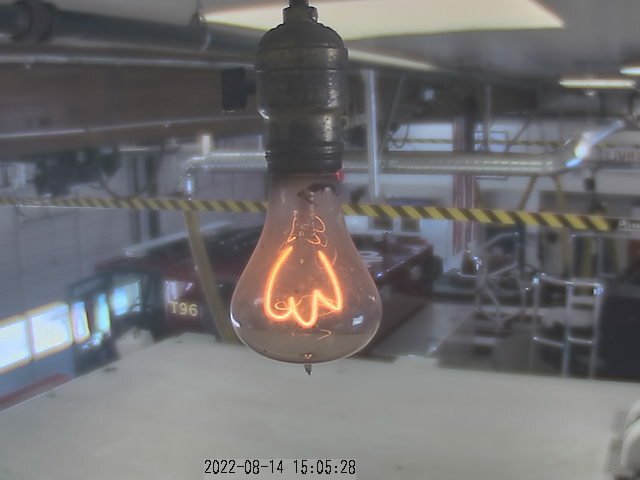 Here is a picture of the Bulb as it was out for 9 3/4 hours on 5/20/2013. Click on the image to see 9 Bulbcam pictures, or a gif of the sequence. 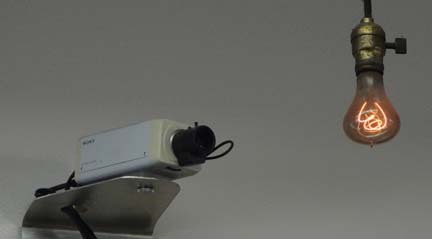 Above is a picture saved from the 2011 party. 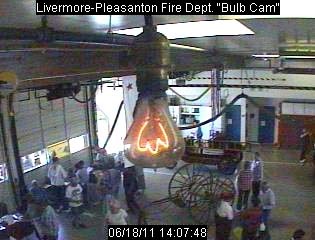 To see a few other saved shots, from the first camera, a captured moment with the Bulbs sister, and a few shots of the New Bulbcam from the "Other side", click here. 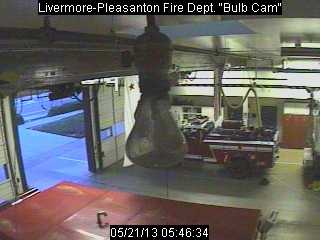 The webcam is brought to you courtesy of the Cities of Livermore, and Pleasanton.